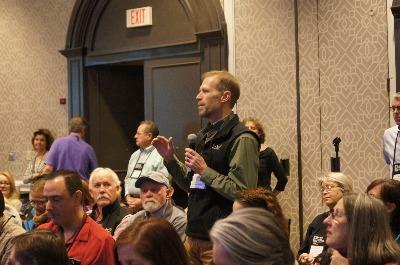 This year’s educational program offered a wide range of topics and learning formats that focus on leadership, best practices, cutting-edge trends and high-level conversations with the public lands community to develop skill-sets and knowledge that can help you achieve greater success in your public-private partnerships. Nonprofit organizations and land management agencies are seeking innovative ways to maximize their individual resources to achieve results greater than either could do alone. Nonprofit partners often serve as the face of a public land in their local communities and increasingly need to identify programs and initiatives that connect gateway populations to the resource and its mission. Both nonprofits and partnerships need strong leadership to build consensus around common goals and execute strategies for the greatest impact. We also need your suggestions on what themes are most important in public lands today and in the coming years.